Yesterday, roughly two dozen people attended the Washington D.C. “Unite the Right 2” white supremacist rally, a repeat of last year’s racist, murderous torch-burning rally in Charlottesville. 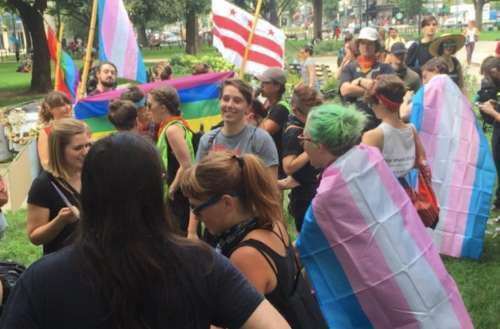 At the same time, a queer and trans dance party called ResisDance snagged ten times that number of attendees, according to the Washington Blade. Let’s see how the two compared to one another. According to Vox.com, Jason Kessler, organizer of Unite the Right (parts 1 and 2), got spooked by the 10,000 counter-protestors opposed to his white supremacist BS. So he and his group started their one-mile march from Foggy Bottom to Lafayette Park in front of the White House two and a half hours earlier than planned, marching at 3:00 p.m. rather than 5:30 p.m. The rally, which was supposed to last two hours, was over before it was even scheduled to begin. 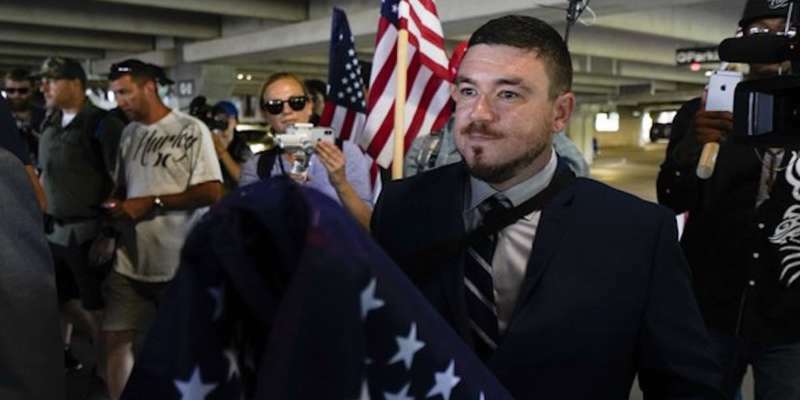 Jason Kessler, organizer of yesterday’s white supremacist rally in Washington D.C. In comparison, the queer and trans dance party called ResisDance snagged 150 participants. Together, they danced to music over a loudspeaker and threw biodegradable confetti as they marched two miles from Dupont Circle from 18th Street and Pennsylvania Avenue. 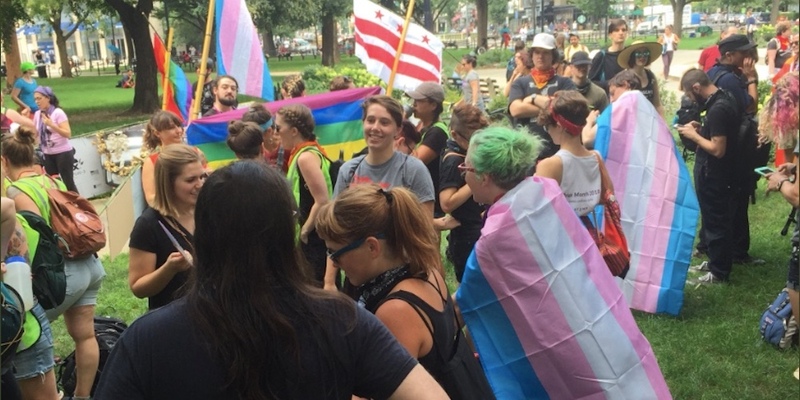 Though they were only 150 of the estimated 10,000 counter-protestors who opposed the racists on Sunday, Firas Nasr, lead organizer of the LGBT contingent, made it clear that their group’s aims were similar to the other counter-protestors’. ResisDance didn’t apply for a march permit before counter-protesting and even blocked two intersections during their march while angry drivers honked their horns. “We don’t cooperate with the police, so blocking the streets is what we do. And it’s fabulous,” Nasr added. Don’t let the low number of attendees at the white supremacist rally fool you though. Unite the Right 2 was poorly attended because alt-right figures discouraged people from attending, and it also was poorly organized. But racism and white supremacy are still on the rise as is evident on Fox News’ racism, the fact that the Republican party candidates are now unabashedly Nazi and racist and the fact that our president is racist AF. What do you think of the white supremacist rally and ResisDance?